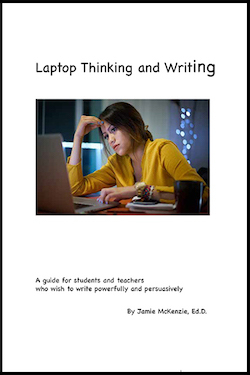 In his exciting new book, Jamie McKenzie shows how to use a computer (whether desktop, laptop or tablet) to dramatically improve both thinking and writing. It is a book created for teachers, students and anyone else who wishes to write powerfully. 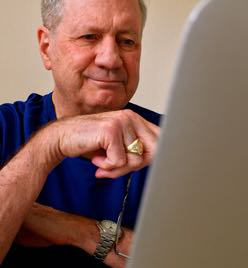 Drawing upon his decades of successful writing and teaching, Jamie stresses the importance of pre-writing and mind mapping, providing vivid examples and strategies that are both appealing and convincing. You can read the Introduction and four sample chapters by clicking on the links below. See for yourself! If you order a class set of 20 or more copies, the price drops to $12.50 per book.